The ABS is moving from the concept of “Capital City Statistical Division” to “Greater Capital City Statistical Areas”, as part of the new geography – the ASGS. While this may just seem like a bit of jargon, it’s actually got quite a significant impact – partly because a lot more ABS collections produce data at this level, and partly because the capital city is just more visible than other areas. This is Part 5 in our series about what the new ABS geography looks like and how it will affect you. Before you start, you may like to catch up with the previous posts on this topic. What are Capital City boundaries? 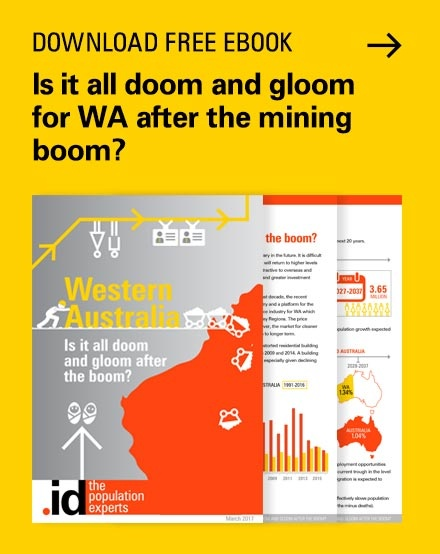 When people refer to the population of Melbourne, Sydney, Brisbane, Adelaide, Perth, Canberra, Hobart or Darwin, they are almost certainly referring to the Statistical Division, or the Greater Metropolitan Area, and this will soon change as these areas are (mainly) expanded. This is an oft-talked about topic, so changing the boundaries of our capitals can have quite an impact. 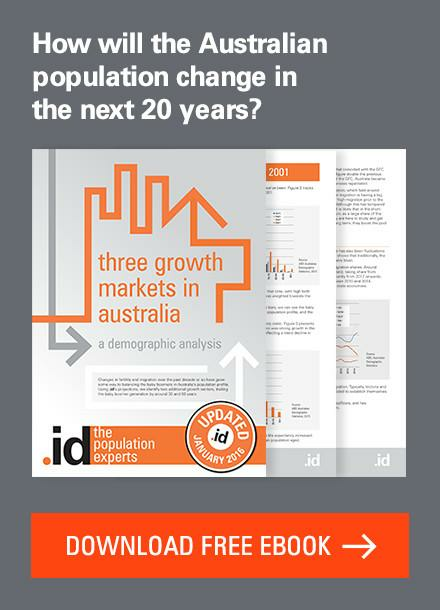 See my other article on “Is Melbourne’s population going to overtake Sydney’s?”. First, a bit of a recap. 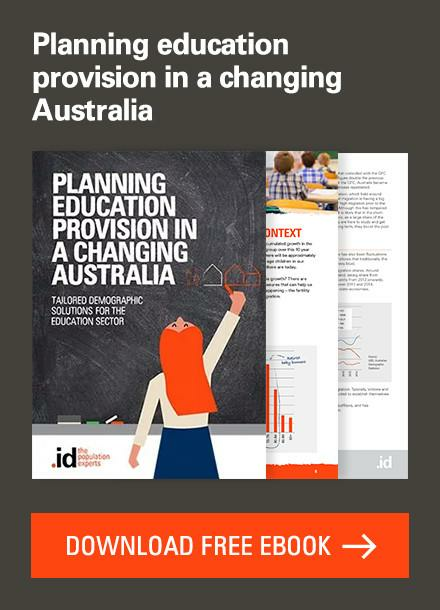 The ABS for the last 40 years or so has defined a “Statistical Division” covering the greater metropolitan area of each state capital, and Canberra. This has been designed to capture the widest extent of metropolitan growth, and has been primarily Local Government Area based (with a couple of small exceptions). For instance, there are 31 LGAs in Melbourne SD, and 43 in Sydney SD. Here at .id, we use the Statistical Divisions all the time, mainly as a benchmark. Most of our community profiles for LGAs within capital cities use the capital city SD as the default benchmark, to show how one part of a city compares to the whole. See, for example, the community profile for City of Whitehorse compared to Melbourne SD, or Auburn’s population compared to Sydney SD. While these areas will still be available from the 2011 Census, the ABS will be moving to these new “Greater Capital City Areas” instead for their standard outputs, and non-Census data will increasingly use these, instead of SDs. 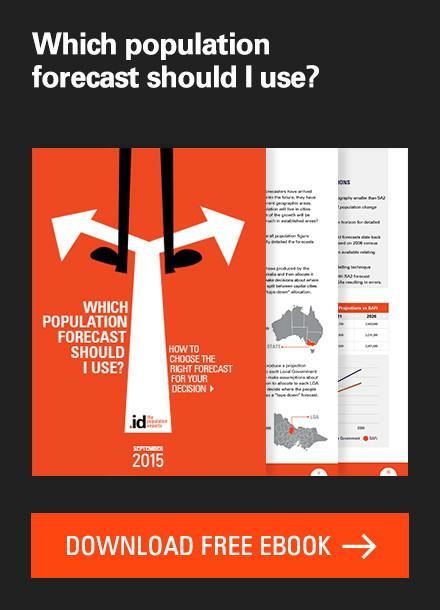 When the population of Melbourne, Sydney, Adelaide or Perth is quoted, it will be for the new areas. The concept behind the new Greater Capital Cities geography is pretty similar to the old – covering the greater metropolitan area and satellite urban centres. However, because the new geography is no longer constrained by LGAs, the ABS have been a bit more selective, and many LGAs have bits in and out of the capital cities. They have defined them on the basis of a labour market catchment – that is, the area within which the majority of the workforce work within the capital city. This has meant some expansion in the boundaries in most cases. Let’s go through each city and see what the changes are. In these maps, the pink boundaries represent the built up area of the city and surrounding towns at the 2006 Census, the red boundary the old SD boundary and the black boundary the new GCCSA. 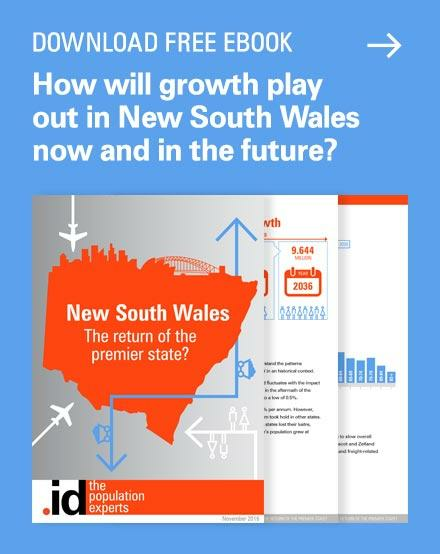 Sydney is the least changed of the main capitals – the Sydney SD already included a vast area of over 10,000 square km, and many people would be surprised to learn that the entire Blue Mountains and Central Coast have long been considered part of Sydney. Small extensions and reductions to this area make little difference to the population, but the LGAs of Wollondilly and Blue Mountains are slightly affected, with small parts of these councils leaving the Sydney GCCSA, while a part of Oberon Council comes in. Melbourne has one of the largest changes, among the capitals. The Statistical Division already included the Mornington Peninsula, Cardinia Shire and Yarra Ranges as far as Warburton. From 2011, parts of Moorabool (Bacchus Marsh), Macedon Ranges (Gisborne, Macedon, Lancefield, Riddells Creek), Mitchell (Wallan, Wandong) and Murrindindi (Kinglake) Shires will be included in Melbourne GCCSA, as well as a bit more of Yarra Ranges (Warburton East). Brisbane is the most changed of any capital city. The ABS have gone to town on it, more than doubling the size of the metropolitan area, though it doesn’t include any new large population centres. The largest town added into Brisbane is Beaudesert. Scenic Rim Regional Council and Somerset Regional Council now become part of Brisbane GCCSA, along with a part of Lockyer Valley. In a rather awkward shape, Greater Brisbane still excludes the Gold Coast, which looks like it’s been carved out of the bottom of Brisbane. This is despite the fact that the urban areas of Brisbane and Gold Coast have almost merged. So to the north west, Brisbane extends 140km from the city, but ceases only 35km to the south-east (where much of the growth is). This seems odd, but apparently it comes from the analysis of labour markets, and Gold Coast is largely self-contained, while most workers from towns such as Kilcoy and Beaudesert commute to metro Brisbane to work. Perhaps there is a need for a broader “South East Queensland” region, as is used on some of .id’s Queensland community profile sites. Adelaide, quite sensibly expands, and the main change is the removal of the “Outer Adelaide” SD – Adelaide was the only capital that had an “Outer” area which was considered regional but right next to the city. This has been removed, and all of the Adelaide Hills and Mount Barker District Councils now move into Adelaide. Small parts of councils north of Gawler move into Adelaide, such as Roseworthy (in Light Regional Council) and Two Wells (in Mallala DC), and a small part of Barossa DC which are all identified as growth districts in the 30-year plan for Greater Adelaide. Annoyingly, the tiny town of Callington is now split down the middle between Adelaide and Regional SA! Perth has a significant population change, though most boundaries stay the same, with only one major extension. The Perth Metropolitan area will from 2011 incorporate much of the Peel Region, mainly the rapidly growing areas of the entire City of Mandurah and the Pinjarra part of Murray Shire. This means that the GCCSA for Perth will accurately reflect the long north-south extent of Perth as a sprawling coastal city, 160km from end to end, but only about 50km inland. Hobart (for some reason the SD was always called “Greater Hobart”- now all capitals get the “Greater” moniker showing that it’s the entire metro area, not just the city) expands a little to the east coast of Tasmania (part of the Sorell Municipality), but the only town in that area is Dunalley, so it’s a minimal population increase. Canberra does away with the “Canberra Statistical Division” entirely, and just becomes the whole ACT (there’s not a lot of population in the ACT outside Canberra anyway!). Darwin is the only capital which is completely unchanged in the new geography, still including Palmerston and Litchfield. The ABS will also be defining similar areas capturing the area of the larger regional centres. These will be called “Significant Urban Areas” but have not been defined yet, they need to wait until after the 2011 Census. So what’s the difference? This is a table showing the 2006 Census population for the SD areas, and the equivalent 2006 population for the new GCCSA areas (approximate). 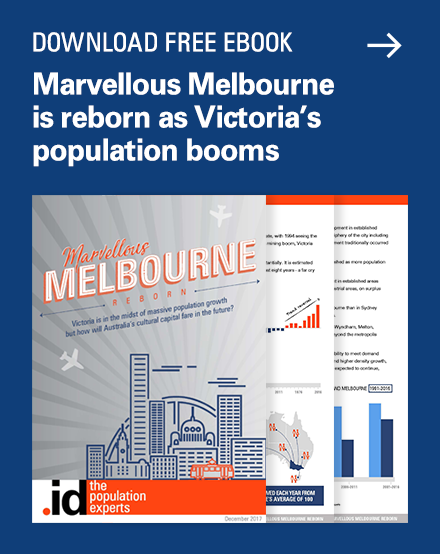 Of course populations have grown since then, and, particularly in Melbourne, Adelaide and Perth, there is a lot of growth in the areas which have been added. While it may all seem a bit esoteric, how we draw the boundaries around our cities has a significant impact on national debates about population. 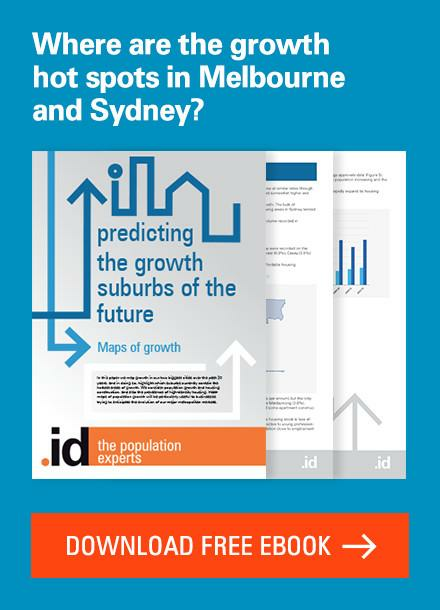 See my other article “Is Melbourne’s population going to overtake Sydney’s?” for an example. Who is involved in running the Census? While basing metro area stats on the majority of work destinations seems sensible, one consequence will be that metro boundaries will change constantly, which is annoying for time sequences. How will ABS handle this? If fuel prices continue to rise, for instance, people will move closer to their work and metro areas will contract compared to the rural fringe living we see now. That’s a really good point Robin. I think that, while derived from an analysis of work destinations, the GCCSAs are still meant to encapsulate the growth of a city for 20 years. 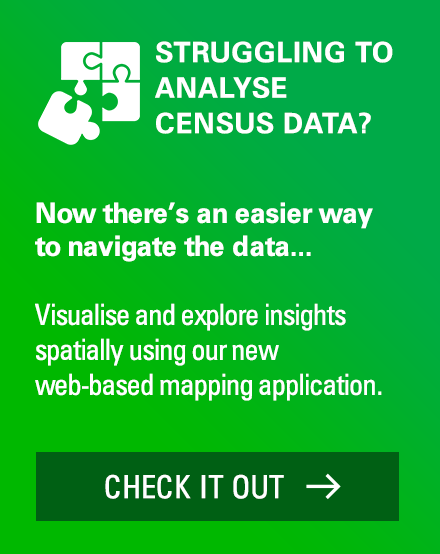 So I would hope the ABS wouldn’t alter them significantly every Census. However maybe someone from ABS Geography who reads this blog can provide an answer? Previous story Who are Australia’s volunteers?